Tyre review data from 20 tyre reviews averaging 77% over 195,500 miles driven. Positive - Balanced all season tyre. Negative - Compared to the summer tyres poor dry and wet performance, especially in braking. Overall - The Vector 4 Season Gen-2 proves to be the strongest all season tyre in the wet, but can't match the Crossclimate or summer tyres in the dry. An excellent all round performance otherwise. Positive - An excellent all round performance, excellent value for money, good steering precision and excellent handling in the snow and wet, safe aquaplaning, good comfort, low wear. 2018-02-21 - Are Goodyear Vector 4 Seasons Gen 2 M+S marked? Yes, the Goodyear Vector 4 Seasons Gen 2 meets the M+S and 3 peak mountain and snowflake symbol standards. 2018-09-20 - As a set of winter specific tyres for the South West of the UK, would you recommend these or the more summer biased Michelin Crossclimate+? I have Michelin PS4s for summer, so winter performance in ice and the odd bit of snow is important but without the full winter tyre downsides. I would look at the Michelin for the south of the UK. 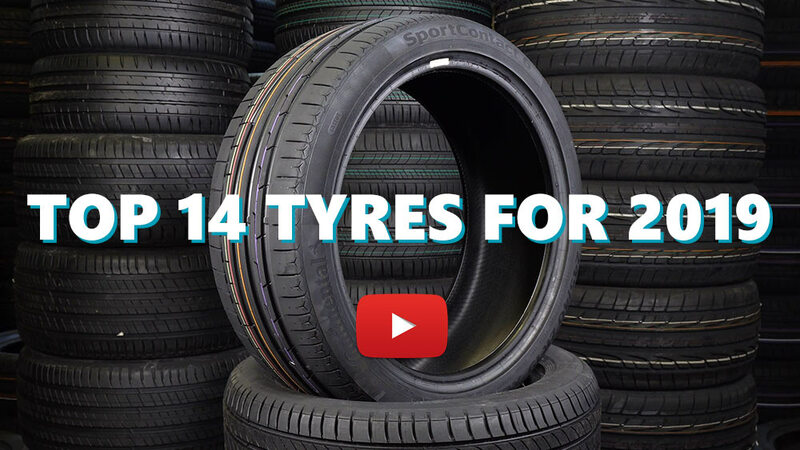 Available in 62 tyre sizes - View all. Have you driven on the Goodyear Vector 4 Seasons Gen 2 tyre? Please help millions of other drivers make an informed tyre choice and pick the correct tyres for their car by submitting your review of the Vector 4 Seasons Gen 2. Excellent balance between comfort and safety in all kind of weathers, all of it for a reasonable price. They are very forgiving and give you plenty of margin once they started to squeal. Thanks to their decent feedback, you can smoothly regain control once you've exceeded their capabilities. They are quiet and smooth on the highway, but I am not sure how sturdy they are and if they could survive going through many potholes. The two slight drawbacks are the bad lateral grip on ice or packed snow and the "floaty" feeling that comes with a not-so-good dry lateral grip when the tires are hot. Compared to worn-out Michelin Alpin 4, they are much better in the rain/snow/ice, but have slightly less lateral grip on the dry. Compared to Norauto Prevensys, they are better and safer in every aspect (and they don't brutally give-up with no warning), so don't cheap-out. The tread is a little too soft to push hard in the dry and they complain a lot when pushing on dry round-a-bouts. But they have a lot of grip in the cold and wet! Standing water doesn't upset the balance - although this could be a result of 4motion doing its thing. I get a bit of 4-wheel drift on greasy (salted) bends if I'm pushing on, but they let you know what's happening at all times and breakaway is gradual, so no surprises. Great tyre, well suited for the relatively mild winter climate I live in. On my second set of Goodyear Vector 4 Season Gen 2 - previously had them on a Subaru Legacy Tourer. Found them to be great all-rounders so have got them now on a Suzuki Ignis 4Grip. These tyres were excellent in the snow we had early in 2018 - obviously Subaru AWD cars are well-suited to snow but with these tyres it was invincible. I was using lanes that only snow ploughs could use and I was able to stop and start on compacted snow/icy hills without any issues. Sadly my Subaru went to diesel Hell (expensive on-going DPF/EGR issues) and I'm relegated to the Ignis - so I'm hoping the same Goodyear tyres will help it punch above its weight in any snow as I have to care for my elderly parents in a hilly area. First impressions - the steering in the dry is much lighter. (The Michelin Energy ones made it heavy). This might explain the comment others have made about "floaty" steering. On my Subaru it was the same - with Vector 4 Seasons Gen 2 - I couldn't easily sense what the wheels were doing on the snow/ice. However, if you know how to drive on snow, it's not a problem. They seem to wear well and although you can hear it's a grippier tyre, this isn't annoyingly loud - perhaps it sounds "meatier". Great tyre for the little Polo, which has now gone. They kept me moving when others struggled. Will now buy again for the winter months to fit my Golf R Variant.